This page is devoted to postcards and photographs of Lübeck Linie. An alphabetical list of ships shown on this page is shown below. The Table beneath gives links to complete history pages on selected individual ships. Below the table is a Fleet List in chronological order. 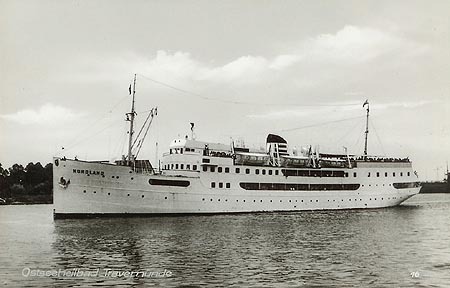 Nordland was built as the Bornholm (2) in 1930 by Burmeister & Wain in Copenhagen for Bornholm services. 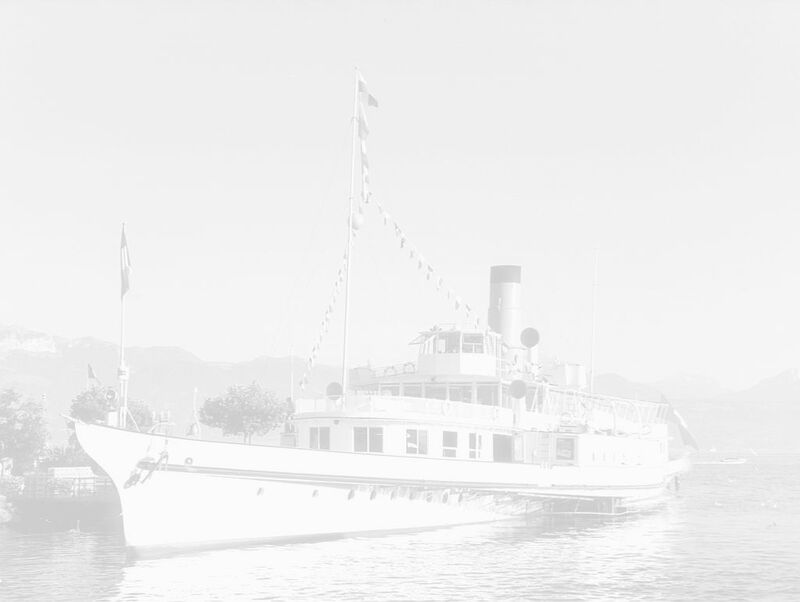 In 1940 she was sold to Nordenfjeldske D/S, Trondheim, Norway for Coastal Express (Hurtigruten) services as Ragnvald Jarl. 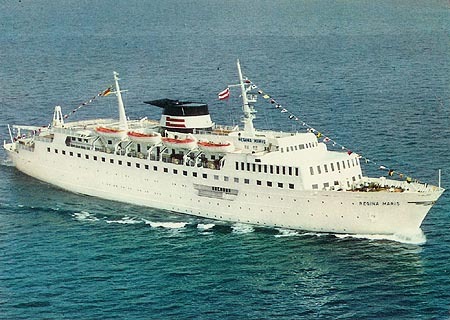 In February 1956 she was renamed Harald Jarl, but was sold six months later to Lübeck-Linie AG, Lübeck, germany as the Nordland. She was rebuilt by Flender-Werft, Lübeck, after which she could carry 470 passengers (170 berthed) and 35 cars. 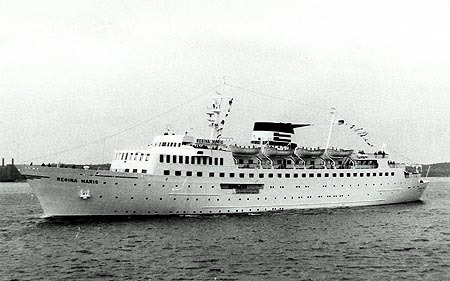 She operated on a route Travemünde-Copehagen-Helsingborg until 1959, after which she was used for cruising. 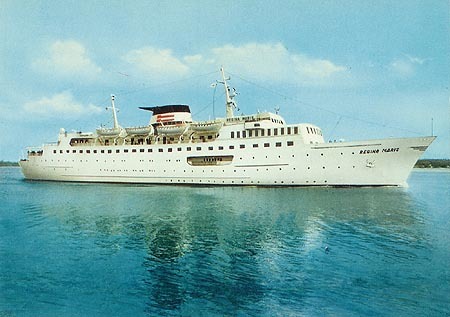 In 1970 Nordland was sold to Carelia Lines of Helsinki, and renamed Suvetar. She was broken up in Spain in 1970. 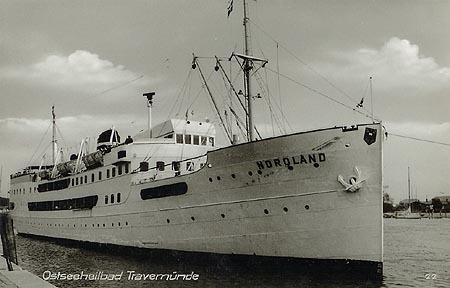 Postcard of Nordland at Travemünde. 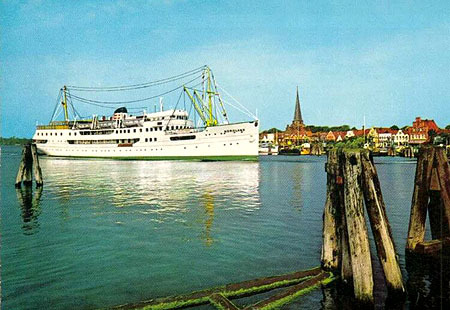 Nordd.Ansichtskarten-Verlag postcard Tra.5 of Nordland (right) in Travemünde. 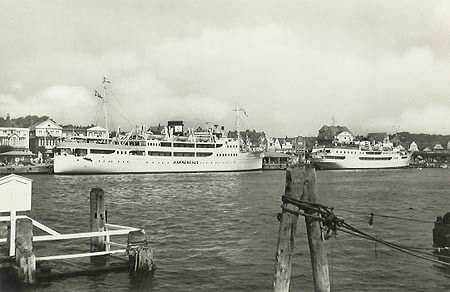 The ship on the left is the Hammershus (1), also a Bornholm ship. 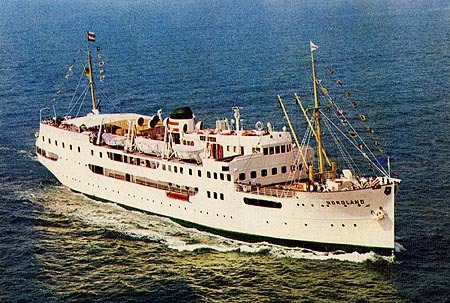 Postcard of Regina Maris in Lübeck-Linie colours. 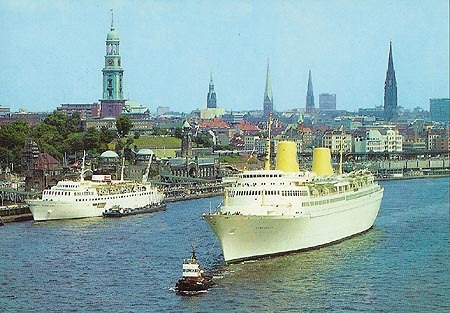 Postcard of Regina Maris at Hamburg, with Kungsholm. 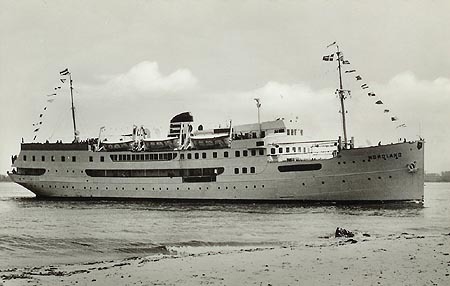 Photographic postcard of Regina Maris .